Companies of all kinds, not just technology companies, are building software. This digital transformation is underpinned by software, and the move to DevOps/Agile is powering a fundamental shift in enterprise IT. For companies to be competitive in today’s world, they need to rapidly deploy software that creates business value, and to rapidly deploy software, companies need to invest in infrastructure. This move towards DevOps is accelerating the software delivery pipeline — it not only encompasses processes, but also a significant change in technology. The problem with the traditional waterfall software delivery model is that it prioritizes minimizing risk over maximizing agility. DevOps is about allowing the participants in the software delivery processes — operations, security, and development to work in parallel, drastically decreasing the time to value while prioritizing agility. Binaries, or software packages, have become the most important component in this DevOps lifecycle. Given this massive sea change in enterprise infrastructure and development practices, companies of all sizes are struggling to manage, store, and secure binaries during the software release lifecycle. 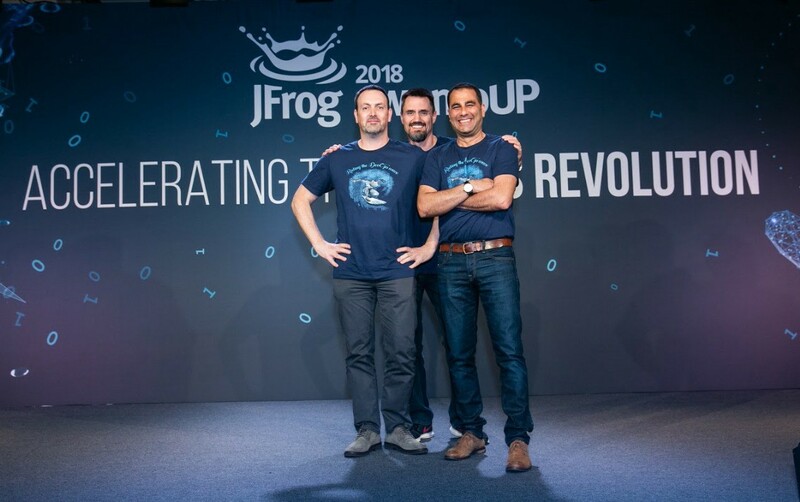 JFrog is at the center of this sea change — they offer the world’s leading universal software release platform for storing, securing, monitoring and distributing binaries. At Spark we’re focused on partnering with product-first companies creating technology that builds a better connected future. JFrog represents this to a tee. The company has a relentless focus on creating best-in-class products that developers love, which is clear from talking to users and from the company’s increased traction in the industry. Artifactory, JFrog’s repository manager, is used by more than 5 million developers around the world to release software updates. Additionally, the company has over 4,500 customers, including more than 70% of the Fortune 100, and since their series C, they have grown sales by more than 500%. JFrog is radically changing how enterprises update their software through the JFrog Enterprise+ platform, and Spark is a huge believer in the company’s “liquid software vision”, where software updates run like water through pipes. We’re thrilled to partner with Shlomi and team and happy to announce our participation in their series D, along with Insight Venture Partners, who led the round. Spark is excited to be a part of JFrog’s ambitious journey to become a category-defining company in the infrastructure software space. Spark Capital is an early and growth stage venture capital firm. We take risks on exceptional founders and the products they design.